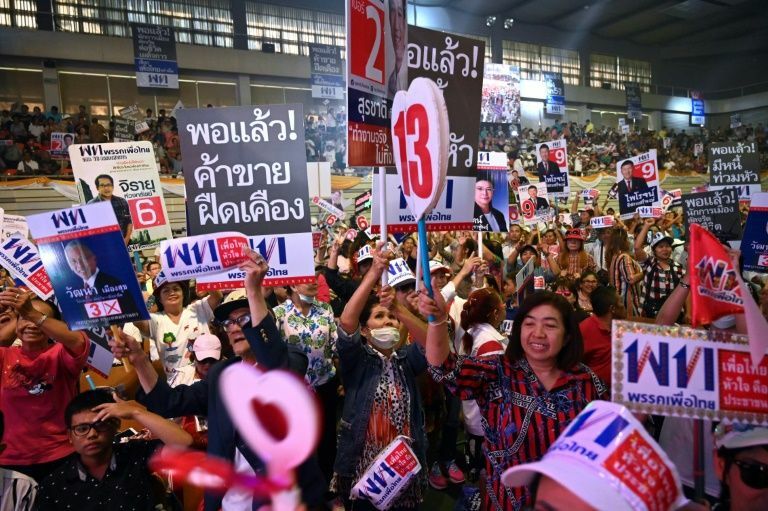 Parties for and against Thailand’s junta rallied across Bangkok Friday, as election fever grips the country ahead of the first poll in eight years. Thailand is broadly divided between pro-Shinawatra factions and an elite aligned with the military, which has portrayed itself as a stabilising force and defender of the country’s monarchy. Thousands of young Future Forward supporters decked out in the country’s trademark orange colours waved flags and glow sticks at a stadium in Bangkok Friday night ahead of Thanathorn’s appearance, as their hero prepped backstage. 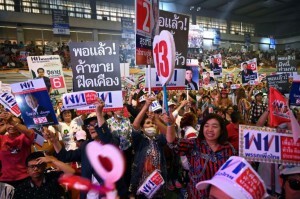 Earlier this month the dissolution of one of his partiesThai Raksa Charthampered an election strategy to cobble together votes under a party list system.